August | 2016 | Sonic Smash-Music! The singer and songwriter of roots music known as S.K. 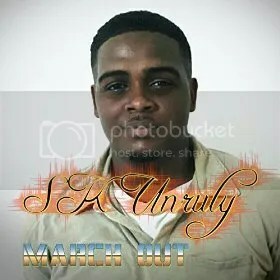 Unruly has released his latest single, “Marchout.” The track has been proudly published on the Mind Music Production independent record label without the involvement of the corporate music industry. Based on a rocksteady groove, pulsing bass, traditional roots guitar and the singing of S.K. Unruly himself, “Marchout” stands as evidence that this reggae singer has plenty of soul for the 21st century. S.K. Unruly cites as main musical influences Bob Marley, Junior Gong Marley, Chronixx, Busy Signal, Konshens, Shaggy, Sean Paul, Bounty Killer, Ninja Man, Beenie Man, Drake, Chris Brown, Ne-yo, Trey Songz and Usher. His own style brings the old island sound into the modern day with contemporary studio production and an intricate, flowing vocal rhythm, making for roots music that will appeal to many fans of the sound around the world. This makes sense, considering Unruly’s goals for his songs. S.K.’s hope is that “Marchout” will motivate people to give a helping hand to individuals that are less fortunate than themselves. He will be releasing his album in the summer of 2017. “Marchout” by S.K. Unruly is available online worldwide beginning 15 August 2016. 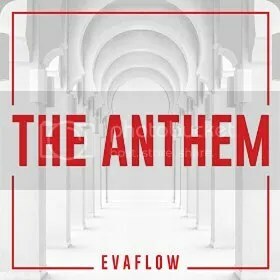 The singer and songwriter known as Evaflow has released his new, flagship single, “The Anthem.” The track has been proudly published on his own SkyStart Media independent record label without the direction of the corporate music industry. A jamming modern reggae track fitted with all the best elements of traditional dancehall and cutting-edge pop music, “The Anthem” is a clear sign that Evaflow and SkyStart Media are names to watch in 2016 and beyond. Evaflow cites as main artistic influences Damian Marley, Nneka, Jay-Z, Sizzla, Jah Mason, Kings of Leon, UGK, and Drake. His own style is more contemporary than any of these without sounding avant garde or too experimental. He retains the attributes which made the great reggae artists of the ’70s, ’80s and ’90s globally popular while adding his personality to the mic and a few hip-hop traits to the studio production for a blend that sounds part Jamaica, part urban jungle. At its heart, Evaflow’s “The Anthem” is a portrait of the victorious. “The Anthem” by Evaflow is available at over 700 online music stores worldwide now. Get in early, dancehall fans. The music composer known as Joseph P. Freije has released his latest experimental music record, “Jazz Beyond the Chaos.” The album is comprised of 11 original tracks for a solid hour’s worth of listening. As part of the growing 2016 series of albums from Freije, it comes to the public from the Phrygian Music independent record label. Tirelessly creative, startlingly innovative and just plain fun to hear and fail to predict, “Jazz Beyond the Chaos” by Joseph P. Freije is the most surprising album of 2016 so far. Freije’s favorite artists come from a variety of genres including (but not limited to) classic rock, jazz, classical, experimental, electronica and blues. This mix of influences is not useful in elucidating the kind of record which is “Jazz Beyond the Chaos,” however. Even compared to the rest of Freije’s catalog, “Jazz Beyond…” is a particularly varied collection of songs. This is a good thing because, like most of Freije’s music, categorization doesn’t help the music, doesn’t fit the music, doesn’t apply to what the artist has created. It is a record for music lovers. It is music for art fiends. Of particular note to audiophiles is “Different Roads Home,” one of two 10-minute overtures available only as B-side tracks for purchasers of the entire “Jazz Beyond the Chaos” album (the other nine songs have been concurrently released as singles). And what of the LP’s title? Physicists, philosophers and spiritualists have theorized for centuries about the significance of rhythm, harmony and vibration. They are only recently very interested in the importance and implications of chaos, though. Organized chaos is not a suitable description of this music. “Jazz Beyond the Chaos” is surgically accurate. It is a careful balance, itself carefully balanced against a natural ebbing and flowing of imbalance, and the result is something as easy to hear as falling rain or as fecund with intricacies to study as grandmaster-level chess games. It’s up to the listener. 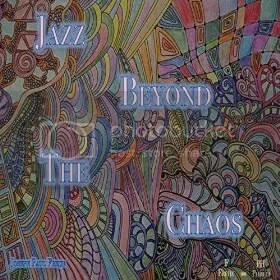 “Jazz Beyond the Chaos” by Joseph P. Freije is available online worldwide. Get in early, fans of experimental music and postmodern jazz. 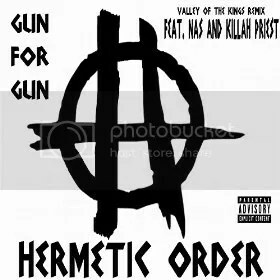 The hip-hop crew known as Hermetic Order has released their latest official single, “Gun for Gun” feat. Nas and Killah Priest. The track has been proudly dropped by Box Price Publishing outside the control and direction of the corporate music industry. Pulsing with bass and riddled with lines and rhymes of social awareness, “Gun for Gun” is an urban poem that proves 2016 is a year for great hip hop. At the heart of Hermetic Order is Chicago’s John Lion. Funded, produced, engineered, recorded, mixed, mastered, organized and all-around orchestrated in every respect from Lion’s $500,000 recording studio, “Gun for Gun” feat. Nas and Killah Priest is something few artists were capable of before the technological revolution. The sound quality is far beyond what modern computers can synthesize even today. “Gun for Gun” also represents a triumph for John Lion in the face of adversity. While still trying to complete the Hermetic Order Project in January 2009, he was arrested coming from California to Chicago with 50lbs of marijuana, the illicit sales of which funded his studio and music project. He was sentenced to prison, and as he served his time, his new Lions Den Studio was robbed, all his equipment and hard drives stolen, including the Hermetic Order material. It seemed the entire project was lost. He is also currently owner of Camp/us 2883 N Milwaukee Ave in Chicago’s trendy Logan Square. Camp/us is a haven for local Chicago art, music and fashion hosting monthly events and having the sole purpose of supporting and giving an outlet to independent Chicago creatives. Camp/us has no corporate sponsors. Camp/us is the biggest store for the Chicago graffiti scene, its backyard boasting a life-size replica of a CTA EL train that local artists take turns renting to decorate. The venue holds spray jams, rap battles, break-dancing showcases, and more. John Lion and Camp/us are trying to embody the entire hip hop lifestyle and create a real scene in the city of Chicago. In addition to his work on Hermetic Order’s “Lost Scrolls” album and “Gun for Gun” single, John Lion has produced music with local Chicago heroes such as Twista, Ace Mac, Crucial Conflict, Snipers, Psycho Drama, C.O.G and many more. To date, “Lost Scrolls” and its “Gun for Gun” single are his crowning achievements. There is one last thing, though, Lion insists. “Gun for Gun” by Hermetic Order feat. Nas and Killah Priest is available online worldwide at over 700 digital music stores now. Get in early, hip hop fans. The following is a public statement from Box Price Publishing about all three Hermetic Order singles to be released in coming weeks. “Along with the release of the hard hitting ‘Gun for Gun’ single Hermetic Order is also releasing what could be considered the ‘B side’ of their single. Two additional pulse pounding tracks to introduce audiences to the rugged ‘Hermetic Order Sound’. First is ‘3rd Day’ ft GZA and Killah Priest. ‘3rd Day’ speaks of the resurrection of the dying art form of Hip Hop. This track truly displays John Lion’s lyrical prowess. Showing yet again that no matter how big the featured artist name might be John Lion’s ‘in your face’ delivery and unmatched mastery of the english language always shine through. ‘3rd Day’ is alao the first time since 1998 GZA & Killah Priest have been on a track together. Also it is one of the only tracks to feature GZA that is not part of a Wu-Tang or a Wu Tang member project. GZA doesnt do features, its amazing that a unkown 24yr old(10yrs ago) that never put a song out got him to do a track. 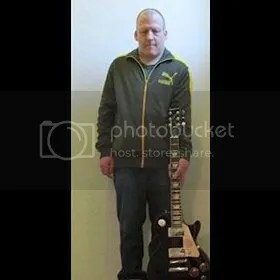 The singer and songwriter known as Robert Alberg has released his latest alternative rock album, “Electrically for You.” The album contains 10 original tracks for an approximate total listening time of over half an hour. It has been proudly published on the Records DK independent music label without the direction of the corporate music industry. Featuring creative chord progressions, imaginative vocal melodies and the most evocative combination of sounds ever to be released by Alberg, “Electrically for You” is an example of how music can communicate the purity of the human spirit to every part of the world. Asked to name some of his most important artistic influences, Robert Alberg cites Bob Dylan and Stevie Nicks. His own music, however, has a sound that is entirely his own. “I write my own songs,” he says proudly, a man of few words. A musician with years of experience singing, playing and writing original music, Alberg has been interested in guitar for a long time. In addition to actively publishing his songs on the Records DK label, Robert Alberg is currently studying music and learning how to write music and play guitar by attending attending music courses at Shoreline Community College. “Electrically for You” by Robert Alberg is available online worldwide now.